Posted byRonnie Hughes	 November 11, 2014 July 31, 2016 15 Comments on Is Cathy never coming home? In 2014, 13th November was to be #HousingDay. 24 hours on Twitter of stories from the world of Social Housing. I thought it couldn’t do any harm and might even do some good. It had been Twitter that morning, after all, that had led me to two savagely upsetting articles about life in the housing world. First Aditya Chackrabortty’s story of the millionaire Tory MP forcing tenants on the New Era estate on the edge of the City of London to ‘seek alternative accommodation’ so that their £600 a month rents can be jacked up to four times that. The ‘alternative accommodation’ being most likely several years in a homeless shelter followed, if they’re lucky, by a move to somewhere well out of London. All to add to the personal wealth of someone whose existing riches are well and lavishly documented in Aditya’s brilliant but heart wrenching article. Followed shortly after in that morning’s Twitter feed by something just as distressing. Polly Toynbee’s article from within such a homeless shelter, in the prosaically but factually named ‘England’s Lane’. It reads like a dystopian and Dickensian tale from a land we might have imagined was long gone, but is right here right now. 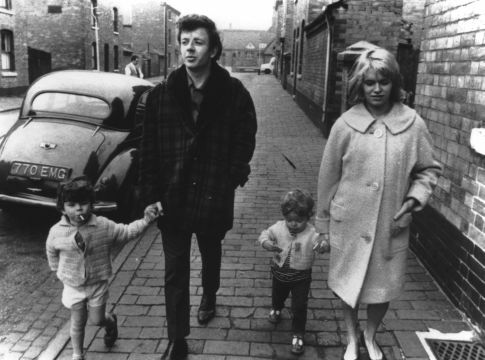 It reads like Ken Loach and Jeremy Sandford’s classic sixties tale of ‘Cathy Come Home’. Except it’s happening now and it once again sounds as if Cathy never will come home. 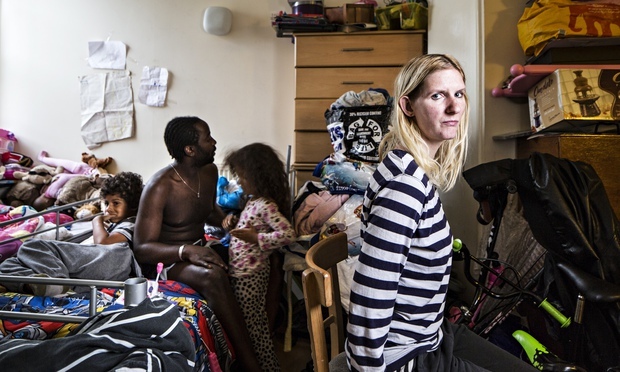 Stacey Thomas and her family in England’s Lane Hostel. From The Guardian article. Please read both of these. And if they don’t break your heart? Then there’s something wrong with your heart. And think anything goes in a ‘free market’? Yes, the ‘free market’ is marauding across the land now, buying up public housing, jacking up rents and relentlessly driving down standards, like the sixties and beyond never happened. Yes just to get personal for a minute. If one thing could be said to have changed my life back there in the 1960’s it was somehow being allowed to stay up late and watch ‘Cathy Come Home’ on BBC’s ‘Wednesday Play.’ Liverpool then was filling up with brand spanking new tower blocks and we’d moved out to an estate on the edge of the city. So I was truly horror struck to find that the world I’d so recently been reading about in ‘Oliver Twist’ and ‘David Copperfield’ was still happening in parts of the city and the country I’d so far been kept from. Directly influenced then by that play, me and thousands of others (after we’d grown up a bit more in my 12 year old case) set about seriously expanding what would come in time to be called social housing. We set up and grew little housing associations into serious forces for good. Laws were changed, funding invented and large scale private landlords fled, leaving portfolios of badly maintained houses behind them for us to fix up. You might have heard me talking about these glory days before, so I won’t go on. But what upset me as much as anything else from Polly Toynbee’s article this morning is its title. See, I’ve referred to it as ‘England’s Lane’ because that’s where it really takes place, and it sounds like the Dickens novel you’ve somehow never read. But its actual title is ‘No exit: Britain’s social housing trap’. It was never supposed to end up like this. Yes, what we’re seeing here is the confluence of years of public policy shifts and initiatives. Of moving councils and housing associations into the same sector, with shared waiting lists. That people bid for. It reminds me of soon after those Cathy Come Home days when I started working for the Liverpool Corporation Housing Department on Scotland Road. I’d regularly speak to disconsolate people who’d been on the waiting list for years. Straggling in now and then to see if they were any nearer the top of it. Simply not good enough. Which is why I ended up working for 20 years after that in a housing association. Early 1980s. A small neighbourhood based housing association team in North Liverpool. One of the very best. Now the tools have changed, we could never have envisaged what ‘bidding online’ might have meant, but the situation is, if anything, getting even more desperate that it was then. At least then there was the beginnings of an alternative for people stuck for years on council waiting lists. There was us, the housing associations. So what I’d like to hear about tomorrow on #HousingDay is what are you doing about this, you housing associations? What are you actually and practically doing to help the people in Aditya’s and Polly’s articles? Yes, I know both articles are about London and I get that the ‘housing market’ is more inflated and inflamed there than anywhere else – yet. But as you well know, if the beyond control housing market can carry on like this successfully in London, then its immoral behaviour will soon enough spread to Birmingham and Bristol and Sheffield and Leeds and Manchester and Liverpool and Glasgow and everywhere else. So tell me, tell everyone, what you’re doing. Or is Cathy never coming home? Rant over then. But let me leave you with one more memory and a bit of encouragement. While I was still in my housing job, around six months before every General Election, would begin the traditional campaign to get housing raised up or even put on to the political agenda of the main 3 parties. This would involve ‘joint working parties’ – sometimes even meeting at the Nat Fed in London. Much earnest discussing and ‘having to leave early’ when the perennial problem of ‘Who’s going to get in touch with the Tories’ came up. It never amounted to much and in truth we were generally well funded and well thought of by all sides. So we were generally best off standing slightly to the side of politics. Well actually you’re well up the political agenda, I know for a fact many of you have a lot to say and I’m looking forward to you saying it on #HousingDay. But I’ll be listening out for the passion and the practical ideas. I’ll be listening to your heart beat. Because if your social housing heart is not wrenched and troubled by what’s happening, then there is something wrong with your heart. In December 2014, after a high profile protest campaign it seemed like a reasonable social housing solution had been found for the New Era Estate featured in Aditya Chackrabortty’s article. Here’s hoping. Thank you. Good of you to call it inspiration! This is so powerful. Thank you for saying what I think. 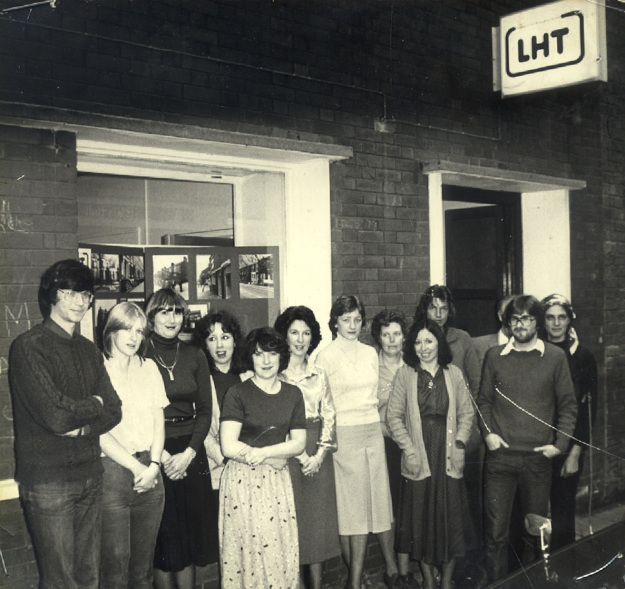 I have lived in London for all my life – grew up near Hampstead in privately rented housing that was saved from speculative landlords intent on revenge evictions when my mum set up a tenants association to defend our rights and those of our 120 neighbours. Paul Foot was one of them and her co-conspirator. The outcome was a new housing co-op with the purchase supported by local Tory MP and and funded by Lab controlled Camden Council via LA HA grant (remember that?). I was 18 by then and the experience plus having seen Cathy Come Home when younger changed my life. Instead of studying history or music at uni (for free) I chose social policy with as many housing options as possible and launched myself into a career in social housing that has spanned 35 years now. And I am so angry. I started off housing the homeless in London and hating the fact they may have to spend a few weeks in b&b before getting a permanent home with full security and a genuinely affordable rent. A few years later I bought a cheap flat on my modest income as most of my peers did. I did not view it as a means to wealth creation. Then I met my now husband, a city lawyer (now a humanist funeral celebrant) who grew up in a council house and had known real poverty as a child. We both knew how important secure homes were to our futures and believe that this a basic right that should be available to all, not the product of some twisted view of “entitlement”. Our now young adult kids and their generation haven’t got a hope of accessing decent housing as we could and still having anything left to live on unless they are bankrolled by Mum & Dad. I would rather we all paid CGT on the unearned wealth gained on primary residence sales with the proceeds helping to fund the house building programme this nation so badly needs for all. That view doesn’t go down well at dinner parties. I think private sector rents need to be controlled again (and not just the rate of increase) and that rent levels should be linked to average earnings. And if that drives private landlords out of the market so be it – let them find another way to invest their money that doesn’t involve people’s homes. I believe that the right to buy has been a disaster and that subsidising landlord / lender profits through housing benefit rather than grant-funding social housing is economically bonkers. So I of course support #HousingDay, @4social housing, #homesforbritain and all other campaigns aimed at raising housing up the political agenda and securing a commitment to real change. I cried when I read Polly Toynbee’s piece today both because it was heartbreaking but also in despair, that we have ended up like this. And that at the moment I can see no real political will to get us out of this mess. That’s where the anger comes in – and frankly the more of it the better, particularly amongst those who may not previously have bothered voting. Maybe then our housing crisis will be taken seriously. Thank you Lucy. For a lifetime’s commitment, wisdom and the informed anger to say all of this. Let’s hope #HousingDay is the good thing it’s intended to be and not a load of shallow patronising bragging. Good work is undoubtedly being done in social housing, but nowhere near enough of it. If it were Polly Toynbee and Aditya Chakrabortty wouldn’t have needed to write their articles. We were never about running a tight and tidy ship, we were about good housing and fair rents for everyone forever. By the way, my wife Sarah is a funeral celebrant too. Not humanist but independent. What a coincidence. Lucy you are wrong on so many fronts, if the state isn’t investing in housing because we have no money Because the last government spent it all on banks and war, then we need private people to invest in it. Take away private sector landlords, and condemn another couple million families to be living in BandB. On RTB, average length of occupancy after buying is 15 years, if people are paying mortgage rather than rent it gives us more money to build state owned housing. The last Labour Government took more housing away from councils than Mrs T did under right to buy. The only way to deal with the housing shortage is to build more houses the only way the country can afford to do this is to give the LGA what we have asked for, take council Housing off of the public sector debt book, we will build half a million units in the lifetime of the next Parliament. Hi Gary. Hard to know where to start with such a bizarre take on reality. So the Conservatives would have let the banks fail? Didn’t hear you saying so at the time. And you’ve spent no money on wars since you came into government? Anyway, this is about housing, and given your woeful housing performance over the past 5 years why should we place any confidence in Conservatives over the next five? If you did manage to build half a million homes what guarantees would you be prepared to give about the ‘affordability’ word that’s now become so derided when describing either rents or purchase prices that most people could never afford? Any governments presiding over the vicious profiteering mess that is much of housing today (and I include the previous government as culpable for this too with their ‘Housing Market Renewal’ embarrassment) has got some explaining to do. And your comment doesn’t even begin any of that. You can’t sweep this all under the carpet with the ‘private sector’ broom. We lucky homeowners make jumbo profits for doing nothing. It’s time we all contributed (probably on sale) to an hypothecated fund for social and [truly] affordable housing. Of course, the politicos don’t have the cojones. That’s why It’s also time to take housing out of the five year cycle of political football. cf Germany. Great piece. I am currently involved with a community organisation called WoRM. We are in the process of taking direct action to cut out both the scalping private landlords and social housing companies from the equation. We are trying to acquire land and run down property which we intend to develop and manage as a collective. We will change the face of things by charging truly social rents and not the so called affordable rent that has been applied by HA on new let’s. We will allow tenants to be co opted so their rent builds a deposit toward the purchase of their next home with rising equity values being shared between us. We are on verge of acquiring our first development plot by way of transfer from a large HA and are in discussions with our local Council about the transfer of a large plot with rundown property on it that is part of the HMRI legacy. Well done. You don’t sound like a ‘Nobody’ to me. Don’t know if you’ve read about it, but in Granby we’re taking this breaking down into small intelligent pieces route to development too. 10 Community Land Trust homes going on site this coming Monday. Slow burn anger felt on reading this, Ronnie. Pernicious and vicious. These insidious laws that aim to make those of us who are powerless to do anything about it, turn in on each other. These crimes committed every day and lives wasted. Nobody seeming to care. The unhoused are acceptable collateral damage in the constant grab for more by those who already have more than enough. Good housing and fair rents seems to be something that is becoming more of a myth than a reality. Channelled anger intelligently used to put a stop to this. Thanks Lindsay, couldn’t not have said all this. With what I know to be happening from my own work with homeless people, but then those 2 articles yesterday, my words wrote themselves. Let’s see where they go and how strong the heartbeat of social housing as an idea turns out to be. This is so powerful. Such a travesty. Another example of legal ways the rich can shaft the poor and increase their wealth. A must read and get angry, very angry. Gary, 40 percent of the HB bill is going to private tenants, and a high proportion of the £25 billion we spend on HB (wasted money in my view) is going to landlords who own ex-RTB properties. So the state sold properties to sitting tenants at a huge discount, and now the state is having to subsidise people with HIGHER rates of HB to live in the same properties, because the market rents are significantly higher than the old social rents. 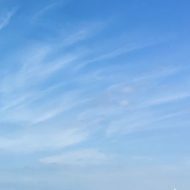 I could just about support right to buy of every property sold was replaced on a like for like basis but that is not happening, and the discounts are much too high. The last government slowly reduced the discounts and this was a sensible and fair policy. As a committed council house supporter I don’t see how you can possibly endorse selling off the family silver in this way. I agree with you on the economic madness of putting subsidy into tenants rather than bricks and mortar that’s why I argue against it on every platform I sit on. But that doesn’t have an impact on and isn’t impacted by RTB. If I was allowed to set the discount at an appropriate level for my housing market, I could build one for one replacements all day long. My argument is really though that the state doesn’t need to subsidise social housing at all, if we were allowed to borrow against the asset we already own we could deliver 500,000 units over the life of the next parliament. And set at RSL rent levels these would pay all of their management and maintenance costs, service the loan and give a return on investment over 50 years. Given that the average house should last well over 100 years, the country would be quids in. The council I lead has been building since 2006 and all of those houses are scene as an investment, financial and social. And so, as the week containing #HousingDay comes to an end the theoretical and economic arguments no doubt continue. Meanwhile in England’s Lane and homeless hostels all over the country life goes on. The crowded co-existence of complicated and desperate lives lives. Lost in micro-managing the details of housing and benefits systems designed for people to get lost in.